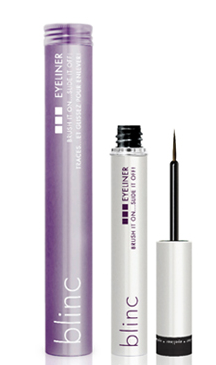 As with blinc mascara, blinc eyeliner should always be applied to clean and dry skin. Draw a thin line evenly along the upper lid getting as close to the lashes as possible. Within 1 minute, apply additional layers of color to thicken the line.